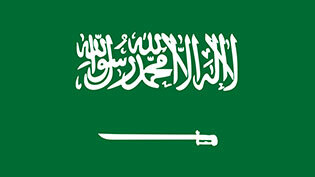 Between Jan. 4 and 22, 2015, the IHR National Focal Point for the Kingdom of Saudi Arabia (SAU) notified the World Health Organization (WHO) of nine additional cases of Middle East respiratory syndrome coronavirus (MERS-CoV) infection, including four deaths. 1. An 84-year-old female from Riyadh city developed symptoms on Jan. 19 and was admitted to a private hospital on Jan. 20. The patient has comorbidities but no history of exposure to any known risk factors in the 14 days prior to the onset of symptoms. The patient was in ICU in critical condition. Since then, she recovered and was discharged on Jan. 27. 2. A 77-year-old male from Riyadh city developed symptoms on Jan. 18 and was admitted to a private hospital on Jan. 21. The patient has comorbidities but no history of exposure to any known risk factors in the 14 days prior to the onset of symptoms. The patient was in ICU in critical condition. Since then, he recovered and was discharged on Jan. 28. 3. An 80-year-old male from Riyadh city developed symptoms on Dec. 26 and was admitted to a hospital on the same day. The patient had comorbidities. On Dec. 26, he was in an emergency room where two previously reported MERS-CoV cases had been treated, although the patient had no direct contact with either case. He had no history of exposure to other known risk factors in the 14 days prior to the onset of initial symptoms. The patient was in ICU and died on Jan. 23.